If you are a writer who takes pride in her work, cares a lot about customer satisfaction, and is always willing to go that extra mile, then you may want to consider offering more than just writing services to your freelance writing clients. I know, I know, you spend so much time making sure your writing assignments are perfect, that you really don’t have time to offer your clients anything else. 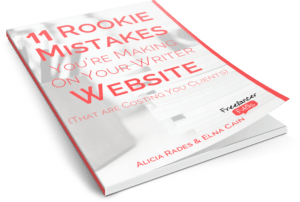 In fact, you are probably thinking, why should I offer more than writing? I’ll tell you why. Extra Revenue. One more time…Extra Revenue. Why should I offer more than writing? Don’t get me wrong, I’m not advocating offering them the sun, and the moon. Even the smallest offering can make a large impact in what you can make as a freelance writer. You know what they say every little bit helps. I realize some of you may have a hard time wrapping your head around this concept. I used to feel the same way. I just wanted to write, I still do. But now, it’s about more than just writing, it’s about offering my clients the total package experience. I want my customers and clients to have the Walmart experience. Think about it, Walmart has a little bit of everything. You can find almost everything you need at Walmart, there’s no need for you to run around on Saturday, to five or six different stores. Just make one trip to Walmart. I like one stop shopping and I know my clients appreciate it as well. Need I say more? I think not. Listen, we are all in this business to make money. Admittedly, there are some writers who only write as a hobby. If you are “hobby writer” I’m sorry, I don’t mean to be rude, but this post is not for you. This post is for the writers who are trying to make a full-time income from writing and are looking for a little help, and advice on how they can increase their revenue. Well ladies and gents, if you want to up your income game, I suggest that you offer additional services. As a writer, you can offer your clients many additional services, but here are the two that I recommend. These services pair up well with writers. The services I recommend are graphics and content Upgrades. Say you just spent two days writing a piece about how to start a low carb diet. Well, wouldn’t your client love to have a graphic to accompany that post or article? Something like this? See, nothing super-duper fancy, just a nice graphic to accompany the post. You can do that? Right about now, you might be asking yourself. What the Heck Is a Content Upgrade? Content upgrades are eBooks, checklists, or some other content of value, that accompanies a blog post or article. The example below is a content upgrade for a recipe book. Content comes in many forms, it’s not just writing anymore. If you have a blog, then you know what I’m talking about. You write the content, you create the content upgrade, you create the graphics. Wouldn’t it save you so much more time, if you could just have one person do it all for you? I’d rather just hire one person to do it all. Trust me, your clients want that as well. Why not give your clients what they want? The best part about offering the graphic and content upgrade services that I suggest, is that you don’t need to buy any special software or learn any complicated graphics jargon. You don’t need to learn Photoshop or Illustrator to offer these services. Even the most graphically challenged person, can offer these basic design services. My software of choice is Canva. If you like drag and drop software, then Canva is the way to go. Canva even offers a step by step tutorial that will guide you through the process. I decided to offer more than writing services, because I love creating, I can spend hours looking at colors, and fonts. I am so thankful that Canva was created. I use it for everything – eBook’s, worksheets, checklists, workbooks, and graphics. So, we’ve talked about what you should offer, and what software to use. Now let’s talk about when you should offer these additional services to your client. As soon as possible. In fact, I now include a little blurb about my additional content services in my pitch. Here’s an example of what my pitch looks like. What Should You Charge for These Additional Services? You can probably charge about $25 per graphic. However, if you decide to add content upgrades as a service, you can charge as much as $50 per page of content. Think about it. 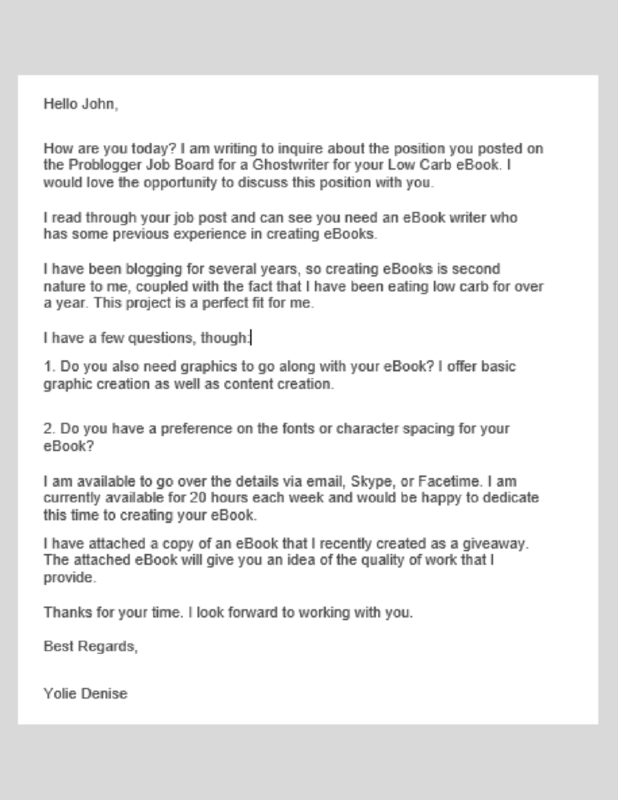 Someone might want to hire you to create a 20-page eBook; at $25-$50 per page, that’s a nice little sum of money. I don’t want you to think that this post is all about money. It’s not! This post is about supply and demand. It’s about offering services that enhance your business and enables you stand out from the crowd. Don’t be afraid to step outside of your comfort zone and offer something that you know your client needs. If it doesn’t work out, you can always stop offering the service, but why not give it a try to see if it will increase your income. I’m curious, do you already offer additional services? If so, what are they, and how has it helped your bottom line? That is great advice, I had never thought of offering additional services along with my freelance writing services. I will definitely keep that in mind and try to ease some of those into my services. Thanks a lot, great stuff. Yolie, this is an excellent post! I’ve had this idea/plan for my business from the very beginning and I have yet to implement it. I’m so glad I’m not alone in this! It’s a win-win situation for both the writer and the client. Thank you for a great article! Thank you for this post. It really got my gears turning. I already use Canva for my personal graphics so why not offer this as an add-on service. With my added skill in photography, I could be a one-stop shop. Lots of great advice contained in this short article.